Nelson Mandela has accomplished many things, but his greatest influence may be for something he didn't do: run for a second term as South Africa's leader. As the first President of a post-apartheid South Africa, he was, like George Washington, aware that everything he did would be a model for those who would follow. He once said, "I don't want to be an octogenarian President." What he really meant was that no mannot even one unfairly imprisoned for 27 yearsshould be above the law or the people. 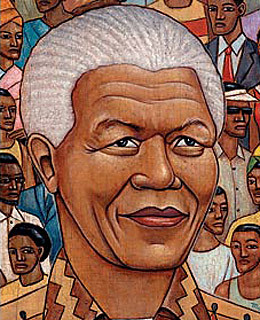 Mandela remains perhaps the only figure on the world stage who is an unambiguous moral giant. That is not to say he is pure. He is a hero precisely because he always admitted his errors and then tried to rise above them. And he has never stopped learning. I spent many days with him in 1993, working on his autobiography. He had to catch up on almost three decades of social change, and one of the things he had to learn about was AIDS. At first, this 75-year-old man did not have the most enlightened view. But within a yearlong before other, younger South African leadershe understood that AIDS was an enormous tragedy for his country and his continent, and he saw it as another moral challenge in a life of facing up to them. After he stepped down, he became a thorn in the side of his chosen successor and his beloved African National Congress on the issue of its less than progressive AIDS policy. That's moral leadership.